Sunny days slow 5G; MoS2 for security; semi-transparent solar. 5G networks promise a world of fast wireless data speeds and connected everything. However, researchers at Embry-Riddle Aeronautical University and King Saud University found that hot, sunny weather could degrade 5G cellular transmissions by more than 15%. The researchers focused on how solar radio emissions would affect the unlicensed 60 GHz bands, part of the millimeter wave spectrum appealing to cellular operators hoping to avoid the more expensive licensed bands. Using various system configurations such as line-of-sight and non-line-of-sight setups, they configured an indoor experiment in order to determine the “path loss exponent” or PLE – a measure of transmission degradation – resulting from solar radio emissions. Then, they compared those results with measurements gathered at two sunny outdoor locations in Riyadh city, Saudi Arabia – a hilly region with high-rise buildings and vegetation, and similar terrain with very little vegetation. In hot and sunny weather, PLE values increased by 9.0 to 15.6%, compared to measurements captured at night in cool, clear weather. In other words, the integrity of transmissions were negatively affected by strong sunshine. “This suggests there could be more dropped calls and lost data transmission, and the data rate could be lower during the day compared to nighttime,” said Ahmed Sulyman, an associate professor at Embry-Riddle. 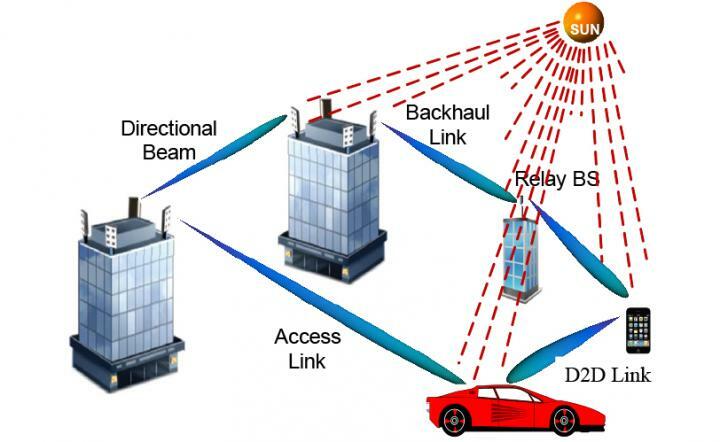 He added, however, that effective communication links at 60 GHz are possible at distances up to 134 meters indoors, and up to 110 meters outdoors, even in hilly, dense urban areas — particularly if antennas are pointed toward each other. Researchers at New York University developed a new class of unclonable cybersecurity primitives made of a low-cost nanomaterial with the highest possible level of structural randomness. Physically unclonable security primitives protect or authenticate hardware or digital information by producing a unique response that can serve as a cryptographic key or means of authentication. Using atomically thin molybdenum disulfide (MoS2), the researchers grew the nanomaterial in layers, creating an array of 2048 pixels. By varying the thickness of each layer during chemical vapor deposition, they tuned the size and type of energy band structure, which in turn affects the properties of the material. 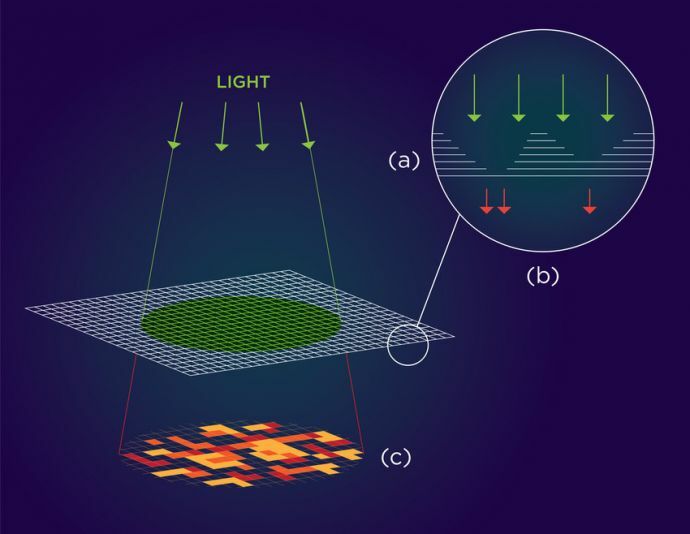 “At monolayer thickness, this material has the optical properties of a semiconductor that emits light, but at multilayer, the properties change, and the material no longer emits light. This property is unique to this material,” said Davood Shahrjerdi, assistant professor of electrical and computer engineering at NYU. By tuning the material growth process, the resulting thin film is speckled with randomly occurring regions that alternately emit or do not emit light. When exposed to light, this pattern translates into a one-of-a-kind authentication key that could secure hardware components at minimal cost. According to the team, this represents the first physically unclonable security primitive created using this nanomaterial. 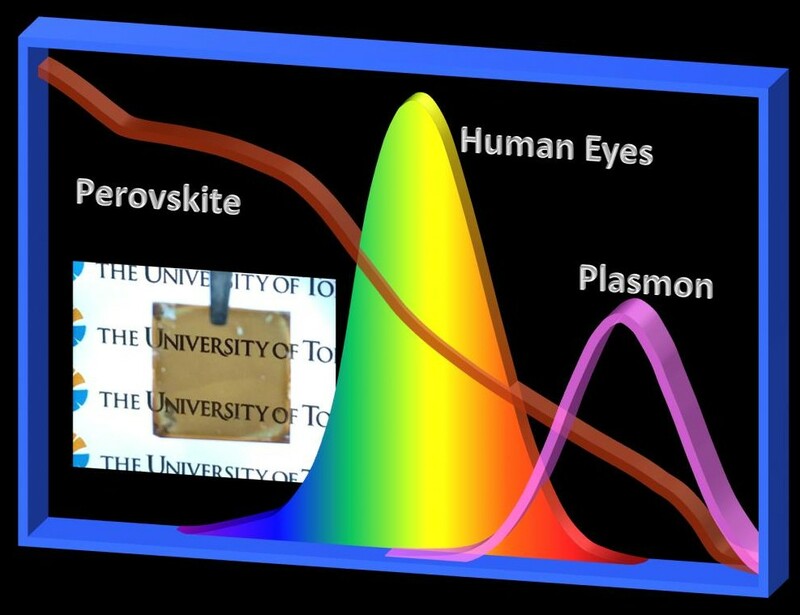 Researchers at the University of Tokyo took a new approach to creating semi-transparent solar windows: adapting the panels to match how the human eye sees color. Traditional solar panels appear dark because silicon absorbs light across a wide spectrum of wavelengths, allowing very little to pass through. This makes them efficient generators, but opaque materials. The team’s goal was to create a material that absorbs enough light to produce power, yet still admits enough to remain transparent. For visual purposes, not all colors are equal. In fact, the eye is much more sensitive to green light, in the middle of the spectrum, than red or blue. According to the rules of “human luminosity,” a good supply of green light is the main priority for visibility. The new material was therefore designed to mostly absorb red and blue light, while letting green through. The new cell is based on perovskites, which are particularly good at absorbing the less visually important blue light. The researchers added another layer to their cell – nano-sized cubes of silver. Like perovskites, the use of silver nanocubes in solar cells is not new – they are already known to increase the efficiency of light-capturing. However, they coupled the nanocubes with the cell’s other electrode layer, sensitizing the cell to red light missed by the perovskite. After introducing the nanocubes, the overall light sensitivity was strengthened, which allowed the perovskite layer to be made much thinner. Despite the thin layer, a power conversion efficiency of around 10% was retained. More importantly, the visual transparency was increased by 28%. The team hopes this can be a step towards developing commercial solar cells that can be coated over windows.